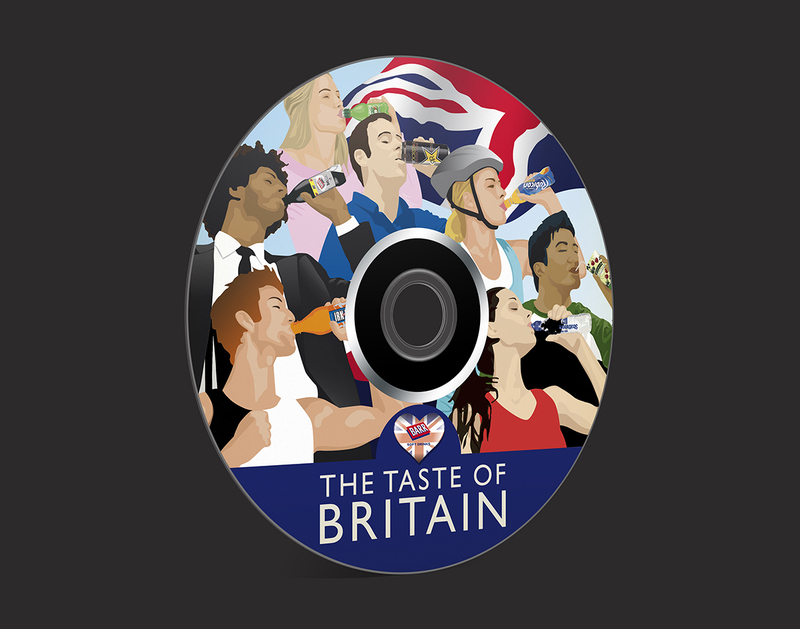 The brief was 'The Taste of Britain", that was it, create something unique that encompassed this statement and included Barr's soft drinks. This was then going to be used as the theme to be used in all the trade communication for the next 12 months. 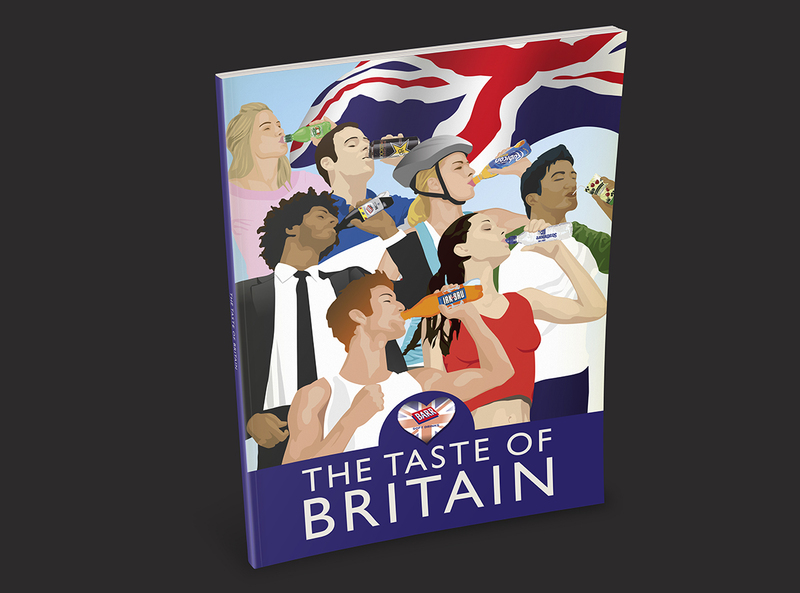 So taking inspiration from war propaganda posters I designed and illustrated a multicultural, all walks of life snapshot of Britain, all taking their refreshment from Barr products. It was liked that much that it appeared on 2 different trade brochures, a sales folder, promotional DVD, sales aides and the backdrop for the sales conference with each of the characters given their own wall banner. Directly following on from this the heart device and a variant just for Scotland was used as a sign off on all the trade ads for the next 12 months.